First of all, I want to say “Thank You” for all the prayers, notes, gifts, lunches, dinners, calls, etc. we have received since this ordeal of gall bladder attacks started. It has been two weeks since surgery and I am feeling great. My surgeon, Michael Peavey, is sending me to another doctor because of what he saw while removing my gall bladder. He wants to make sure it is not anything harmful before giving us the “OK” to go back to Malawi. I will have an MRCP (it’s kind of like an MRI) to see if something is still there. If not, we’re good to go. That is my prayer. If there is something there, then they may have to do an ERCP which means they will have to go back in and try and get whatever it is out. I ask that you continue to pray with us that there is nothing in there and they won’t have to go back in. Michael told me if they do have to go back in that the ERCP has a 3-7% chance of causing pancreatitis. I know that is a very low percentage, but it is still a little scary for me that there is a percentage at all of developing pancreatitis. I am the one in our family that always thinks the worst, where Sam is the complete opposite and thinks that everything will be okay. Greetings from blustering Brookhaven, Mississippi! The weather is a bit snappier than Malawi's, but we're adjusting and enjoying getting reacquainted with Wendy's, Little Debbies, and Blue Bell ice cream! (Just a little shot of covet for our friends in Africa reading this). LeAnne is home and recovering. She is groggy and in pain, with occasional bouts of nausea. The gallbladder surgery went well, but much longer than anticipated. The doctor discovered a small stone (or something) floating in one of her ducts and tried for over two additional surgery hours to fish it out. He was unsuccessful. Because we will be heading back overseas in a few weeks, he has recommended a follow-up procedure in two weeks to remove the nuisance. Then all should be well. Because of the extended exposure to anesthetics, LeAnne was admitted to the hospital for one night. We were discharged about 6 p.m. last night (Thursday). She is now able to begin eating food again, though at a reasonable pace. Thank you all for your prayers and inquiries. Please continue to utter a prayer for recovery and the regaining of strength, and for the follow-up procedure, that everything be found, contained, and extracted. Also pray the airline will find our last bag. All three were 'misplaced' coming into New York. Two have been found but a third is still floating somewhere. In the meantime, we are hoping to see many of you if time and opportunity allow. So, don't be surprised if you see someone looking a lot like us driving by. It's us! P.S. If Kelly Dehnert in Malawi is reading this: Kelly, the milk is wonderful! Just a quick update on the McDonalds. We have arrived safely back in America. It was a very long flight. It took us 33 hours to get home. We were in the air for about 22 of those hours. The girls did a great job. They actually slept most of the way. What a blessing. Praise God also that I didn't have an attack on the plane. The airlines lost all three of our checked luggage, but have recoved two of them so far. The one that is missing has Sarah Rose's and my clothes. Thank goodness for Wal-Mart. I see the surgeon today so he can explain the procedure to me. The surgery is scheduled for tomorrow (Wednesday) at 8:30 am. I would appreciate your prayers. Pray especially for my nerves since I have such a fear of needles. Pray also for Dr. Michael Peavey who will be performing the surgery. I will post again once the surgery is over. Just a quick update on our upcoming trip and a few specific prayer requests. We leave Friday from Malawi at 3:20 pm, arrive in Johannesburg, South Africa, around 5:30 pm and then depart from there headed to New York at 7:30 pm. We will then be in the air for approximately nineteen hours. We will then fly to Detroit and then down to Jackson. Please pray that we can tie up all loose ends before leaving on Friday. Please pray for the girls especially on the long flight. We were able to get bulkhead seats for four of us, so we will be able to stretch our legs somewhat. Please pray that I won't have an attack on the plane. It is so painful and there is no relief. Please pray that we would be able to sleep some. Since the long flight from South Africa to New York is at night, maybe we can catch some zzz's. Please praise God that the headmaster was able to find a person to sub for me while we are gone. Please pray for my students that they would stay on track. Please praise God that Sam was able to find someone to help him with his classes and chaplain duties at the college. Please pray for Sam’s students as well that they would stay on track. Please praise God that Amber Elizabeth and Molly Grace's teachers were very understanding about us having to pull them out of school for five weeks. Please pray that they won't fall behind in their school work while we are away. I praise God for all the many many friends we have and for all the emails we have received. Thank you so much for all your prayers. They have really been felt. Front row left to right: Meria Madikhula (Malawian), Peter Davidse (Malawian), Yahorina Tench (British/Kenyan), Gio Agra (Phillipino), Omar James (British), Kitty Tricky (British), and Diogo Alves (Portuguese). Second row left to right: Nina Ayuninjam (Cameroonian), Takondwa Chang'anamuno (Malawian; her dad is an ABC graduate and is the registrar at the college), Anita Kamwendo (American/Malawian), Gina Gauna (Italian/South African), Jalen Jackson (Mississipian), Pomi Ketema (Ethiopian), and Fatima Diab (Lebanese; her dad owns the local 7-11). 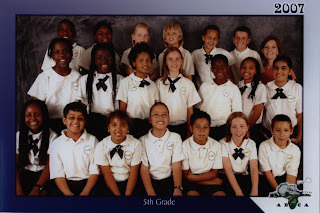 Third row left to right: Chris Chanje (Malawian), Nicole Kwengwere (Malawian), Wianne Ter Harr (Dutch/South African), Wil Maclean (Canadian), Aletha Saccur (Malawian; this was Amber Elizabeth's best friend when we were here before), Dylan Pyman (Zimbabwean), and me. This is such a good group of kids. I will miss them so much while we are in the States. Please keep them in your prayers also that they can stay on track with the sub. I have been experiencing some severe pains right below by sternum for about a month. The first time it happened, it started at 1 am and lasted until 3 am with no relief. At times I thought I was dying. I could even feel pain in my back. It was so painful. I told Sam that the pain was worse than childbirth. There never is relief until it goes away completely. It's not a burning sensation; more like someone punched me in the stomach and the pain never goes away. The next time it happened, it again started at 1 am, but this time it lasted until 7 am with no relief. I started feeling better, a little weak, but then again that same day around 2 pm it started again. This time it lasted until 6 pm. This time, I mentioned it to the doctor, Mark (the doctor on campus), and he thought it could be an ulcer and put me on Prilosec. I mentioned to him that I was taking doxycycline and at times for the last couple of weeks when I would take the medicine, I would get a little heartburn. Nothing severe. He said then the pain was associated with the doxycycline. That perhaps a pill got lodged in my esophagus and was eating away. I stopped taking the doxycycline. I have been pain free (very lethargic though) until last night. At 7 pm Molly Grace was walking down the hall and I didn't know it and it scared me and the pain started. It lasted for about an hour. I took too chewable Pepto Bismols and drank a full glass of water at the onset. I called Mark after an hour of pain and asked him if I could take a pain killer. He told me to take 1/2 of Hydrocodone. I did, but when I laid down, the pain was gone. I know the pain killer didn't work that fast. I have been checking symptoms online (not a good idea for me; I tend to always think the worst) and found several things that could be wrong. Some that were listed were aortic dissection, gall stones, pancreatitis, and acid reflux (which is what Mark thought it was). It's scary to be so far away from good medical facilities. Well, then last Saturday morning at 1am it started again. This time it lasted until about 8:30. I called Mark and he told me to go to the clinic so they could run some tests. He wanted to check my pancreas. They did an ultrasound and did some blood work. When the technician was doing the ultrasound, he showed me my organs and said, "See, there are the gallstones." I asked, "What, I have gallstones?" He then asked, "You didn't know?" I said, "No." So I took the report to Mark and we discussed what should be done. He told me the pain was caused from a gallstone passing and the longer the pain lasts, the bigger the stone is. Mark wants me to go to South Africa at Easter Break, which is 5 more weeks away to see a general surgeon and possibly have my gall bladder removed. In the meantime, he has put me on a low fat diet. He will check my blood weekly to make sure nothing changes with my liver. I had my liver checked again today and Mark said that my levels were down which was a better sign. My bilirubin is still up though. The numbers are Bilirubin is 1.36, GGT is 101, SGOT (AST) is 25.3, and SGPT is 58.2. We have had several people (some which are doctors) tell us that it is better to have the surgery done sooner rather than later. Other problems could develop if the duct became blocked with a stone. We could go to South Africa, but we don’t know anyone down here and I would have to recover in a hotel. Not fun. So, we have decided to go back to the States for me to have the surgery. We have a good friend, Michael, who is a surgeon who will perform the operation. I will have family and friends to help take care of me and the girls there. I would appreciate prayer. It's one thing to have this happen at home, but for it to happen in a foreign, third world country, it is kind of scary for me. We will leave next Friday, February 8, and arrive in Jackson Saturday. We will fly from Lilongwe to Johannesburg, SA to New York to Detroit to Jackson. I would also like to ask you to pray for a safe trip home. Thank you already to those of you who have been praying. I have felt so much love. I have some really dear friends back home in Brookhaven and also here in Malawi. Also, thank you for all the emails we have received. Everyone has been so encouraging.